For nearly 100 years, Braille Institute has been guided by the wisdom and tireless expertise of a generous Board of Directors. The support of the Board, combined with a capable and knowledgeable staff, has enabled us to become an organization that brings hope and confidence to thousands of people who are blind or visually impaired. Peter holds a Master of Business Administration from Harvard University and a Master of Social Work from the University of Southern California (USC). He brings to Braille Institute a broad and complementary set of educational and professional skills from both the private and nonprofit sectors. 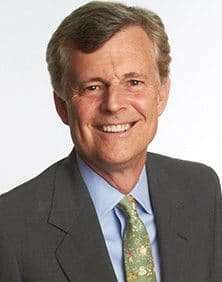 He spent more than 30 years in the financial services industry in several leadership roles, including Managing Director in both the Investment Banking and Investment Management Divisions of Goldman, Sachs and Company, and later at BlackRock, Inc. until he retired in 2008. Peter’s breadth of experience was further enhanced at the USC School of Social Work, where he completed field internships at Long Beach based St. Mary Hospital’s C.A.R.E. Program, which provides clinical and therapeutic services to HIV positive adults, and U.S. VETS, a Los Angeles headquartered nonprofit organization that serves military veterans transitioning back to civilian life. Gloria joined Braille Institute in 2008 as Manager of Field Services for the Anaheim Center, and was responsible for leading outreach programming for the Orange County region. In 2010, she became Assistant Director, and later promoted to Executive Director of the Anaheim Center in 2013. As Executive Director, she was responsible for overseeing all aspects of the center’s programming, operations and human resources. Having successfully raised two children, who are visually impaired, Gloria has been an active advocate for those with living with vision loss for 35 years. She holds a Master’s Degree in Adult Education /Human Resources and Development, and a Bachelor’s of Science in Communication and Business from the University of Southern Maine; and a Certificate of Nonprofit Management from Duke University in 2013. After many years as a human resources professional in the banking, telecommunications and retail industries, Janice joined Braille Institute in 2004. With an emphasis on strategic partnerships, leadership development and employee relations, her diverse background has touched many aspects of human resources including organizational change, policy development, staffing, training, and compensation & benefits. Prior to joining Braille Institute, she held various leadership positions with AT&T Wireless, Glendale Federal Bank, Tokai Bank, Wells Fargo Bank, Bank of California and J.W. Robinson’s Co. At Braille Institute she has served as Human Resources Manager, Director and then Associate Vice President of Human Resources before assuming her current position in 2017. Janice grew up on Long Island and relocated from New York to San Francisco before moving to Los Angeles. She obtained a degree in liberal arts from Collegiate Institute in New York City. Gary returns to Braille Institute in 2018 after several decades of successful fundraising and nonprofit leadership. He brings a breadth of experience working for regional and national organizations in senior fundraising and managerial roles. Most recently, Gary served as Chief Development Officer at Jumpstart for Young Children. He began his career at Braille Institute in 1989 where he worked with the youth program and ultimately developed an interest in program sustainability and fundraising. He has since worked for education reform and mentoring programs, colleges and universities, and scholarship granting organizations. Gary is a native of Southern California and has been active with the Rotary Club of Los Angeles (LA5) since 1997. He holds a Master of Business Administration from Claremont Graduate University and a Bachelor of Arts degree from the University of Southern California (USC). Reza Rahman was born in Bangladesh and received his early education there before coming to the United States in 1981. Here, he earned his BS and MBA from the University of Central Oklahoma. In 1985, Reza moved to Los Angeles in search of work. He loved the weather and soon found work as an accountant for a life insurance company. While working, he studied for his certification as a CPA and received his license. Then he saw an ad by the Institute for an Assistant Director of Financial Services. He applied and was hired immediately. His excellent work in this area for a number of years has resulted in him being named Chief Financial Officer. Sandy has recently joined the Braille Institute in 2018, bringing over 25 years of marketing and communication experience with highly recognized brands that include IBM, Disney, Southern California Edison, UCLA and USC. As a well-respected professional she has developed comprehensive marketing campaigns and programs utilizing both traditional and digital channels of communications. She has overseen brand management and has raised the visibility and reputation of several organizations. She has been responsible for creating customer engagement and enhancing the customer experience across all touch points. She obtained her Master of Business Administration with a concentration in marketing from the University of Southern California (USC) and her Bachelor of Arts degree from the University of California, Los Angeles (UCLA). She is a native of Southern California. After receiving his juris doctor degree from UCLA School of Law in 1983, Joji, a Los Angeles native, began a 24-year litigation career, handling a wide variety of cases but focusing primarily on trust and probate matters, real estate, construction, and business disputes. He has represented many nationally recognized companies including restaurant chains, contractors, and financial institutions. In 1988, he joined the law firm of Poindexter & Doutre, Inc., becoming a shareholder in 1996. He was successful appellate counsel in the published decision D’Orsay International Partners v. Superior Court (Stone), 123 Cal.App.4th 836 (2004), concerning the availability of mechanic’s lien rights for a design-build contractor when actual construction did not commence. After nearly two decades of experience representing nonprofit organizations in trust, probate, and business matters, including Braille Institute, Joji left private practice to become General Counsel at the Institute in 2007. Maria joined Braille Institute in 1991 and has played a vital role in ensuring the organization’s continual technological development and growth. She has improved Braille’s infrastructure and centralized several business processes, while reducing operating costs and improving the customer experience. She and her team support data analytics, cloud and mobile technologies. Maria has implemented a security awareness program to decrease the organization’s vulnerability to external threats. Along with managing I.T. services, Maria also oversees Braille Institute’s customer service department that supports our six centers, as well as two signature national programs. Maria earned a Bachelor of Science degree in Business Administration with an emphasis in Business Computer Methods from California State University, Long Beach. Maria enjoys spending time with her family, travel, and exploring new technology.